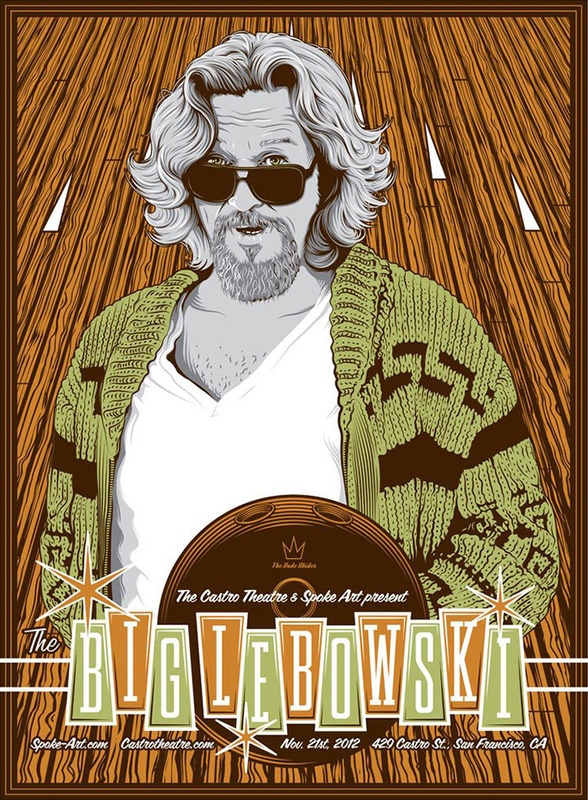 Produced for Castro Theatre’s screening of The Big Lebowski through Spoke Art Gallery. It measures 28”x24”. Directed by the legendary Coen Brothers, Jeffrey "The Dude" Lebowski is the ultimate LA slacker, until one day his house is broken into and his rug is peed on by two angry gangsters who have mistaken him for Jeffrey Lebowski, the LA millionaire, whose wife owes some bad people some big money. The Dude becomes entangled in the plot when he goes to visit the real Lebowski in order to get some retribution for his soiled rug, and is recruited to be the liason between Lebowski and the captors of his now "kidnapped" wife.